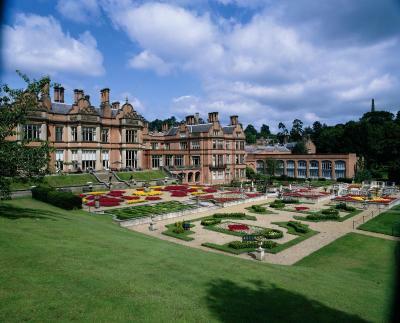 Lock in a great price for Hallmark Hotel The Welcombe – rated 8.5 by recent guests! 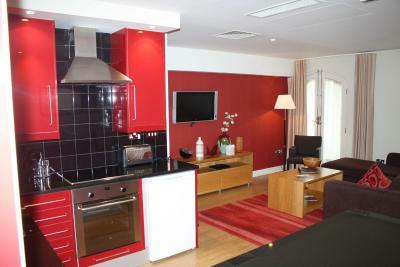 Self contained, nicely appointed apartment. 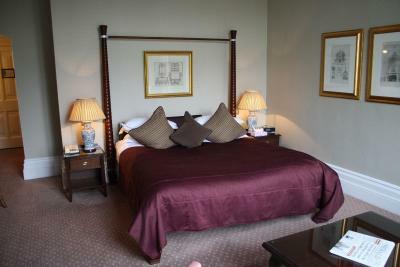 bedrooms were good sized, with single beds in 2nd bedroom. Sofa Bed was very comfortable and high quality. Strong wifi service. This historic building brought us back to a time where elegance meant something!! 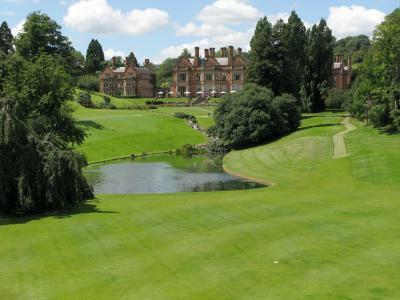 Beautiful setting with lovely grounds. The room was gorgeous and the breakfast was good . Room was very hot however a fan was given. Bed very comfy and there were enough pillows. Reception Staff very attentive and accommodating to our needs. Nice atmosphere in the bar area on the evening of our stay. Nice exterior: very pretty old building in pleasant green surroundings. Close to Stratford centre. 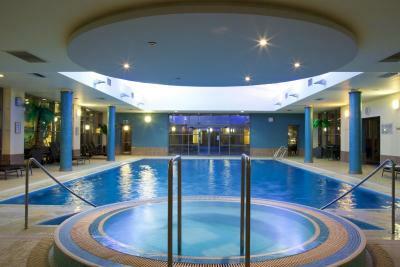 location of the hotel is very good and so accessible to the town, the leisure spa was very accessible and very good. 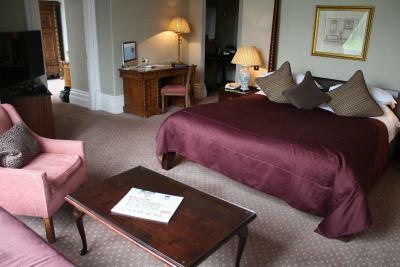 The gardens are beautiful, the rooms are good size and well maintained. 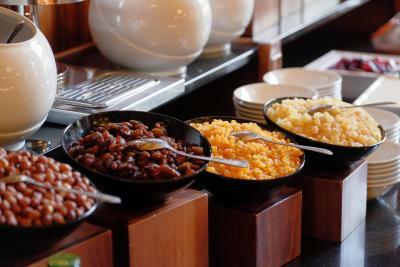 The general staff in the restaurant,reception and bar were very friendly and helpful. The staff on reception were extremely friendly and helpful. It was a disaster from the moment I checked in. I was told my bag would be brought to my room because it was down two flights of stairs but the porter did not bring it and 45 minutes later I had to go to reception and bring it myself. (2) I was told as the restaurant was full I could get dinner in the bar off the restaurant menu but alas that was not to happen and my guest had arrived so then we had to go out into the town to seek out a restaurant. Check out again was no better and the breakfast was terrible. 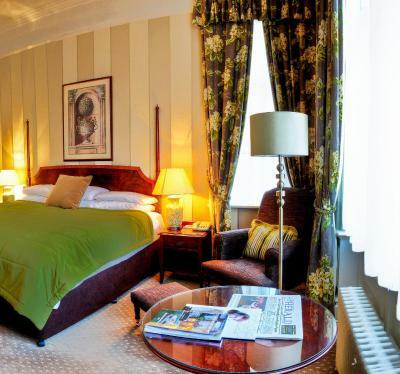 Hallmark Hotel The Welcombe This rating is a reflection of how the property compares to the industry standard when it comes to price, facilities and services available. It's based on a self-evaluation by the property. Use this rating to help choose your stay! 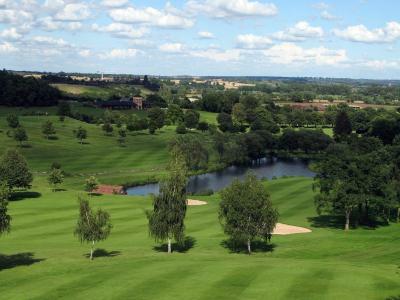 One of our top picks in Stratford-upon-Avon.Hallmark Hotel Stratford upon Avon - Welcombe Hotel Spa & Golf Club features an 18 hole, par 70 golf course. 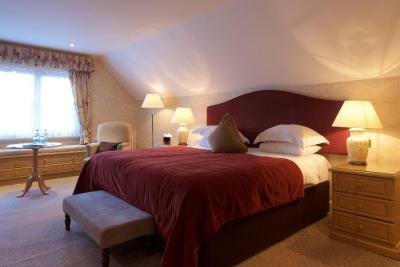 Located on the outskirts of the beautiful town of Stratford upon Avon, just 5 minutes from the M40. Complimentary parking is provided. 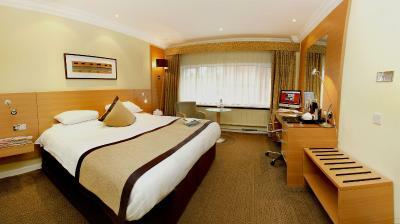 With air conditioning, the spacious rooms at the hotel are decorated in modern colors and feature TVs with Sky Sports. 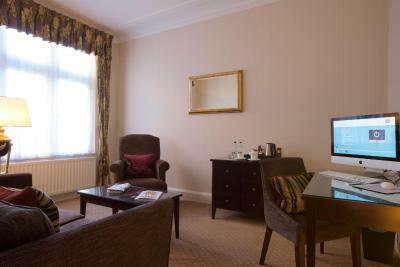 Rooms also include a work desk, tea and coffee-making facilities and bathrooms with a bath, shower and hairdryer. 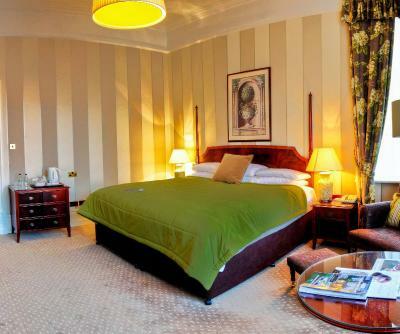 The hotel is 2 miles from Stratford-upon-Avon, which features many tourist attractions including the Royal Shakespeare Company and Stratford Racecourse. 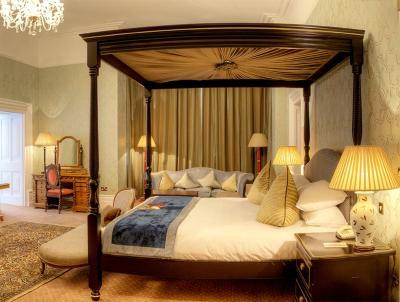 When would you like to stay at Hallmark Hotel The Welcombe? 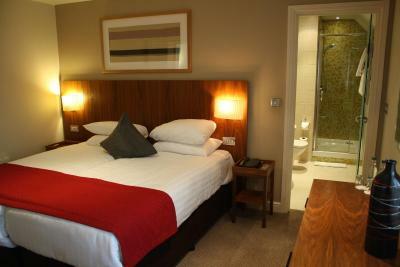 Each standard double room features an private bathroom. 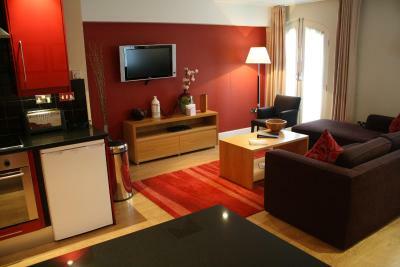 It also offers tea, coffee, and mineral water, and a flat-screen TV with Sky Sports and news channels. 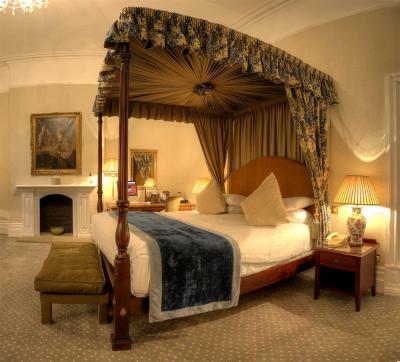 Located in the main house in the Trevelyan wing of the hotel, the executive double rooms boast views of either the hotel's Italian gardens or across the Welcombe Hills. 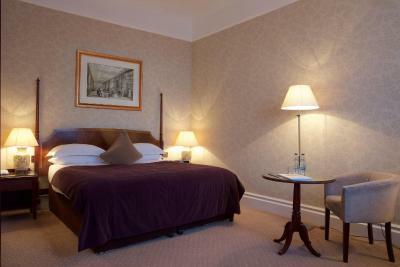 Each executive double room features an private bathroom. 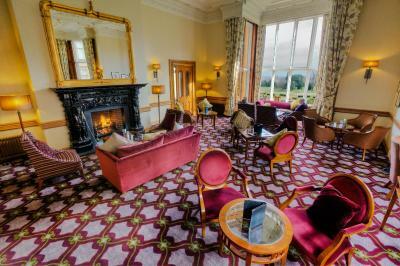 It also offers tea, coffee, and mineral water, and a flat-screen TV with Sky Sports and news channels. 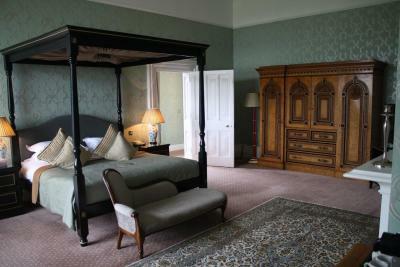 Located in the main house these larger double rooms feature a four-poster bed and seating area in a large bay window. 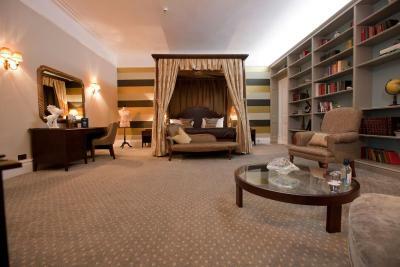 The rooms features views of the Italian gardens and championship golf course. 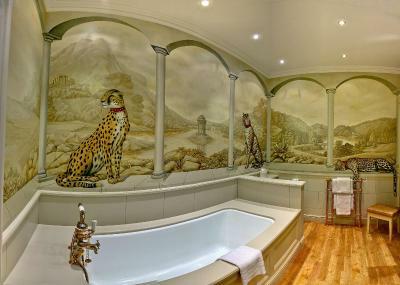 Each four-poster room features an private bathroom with bathrobes. 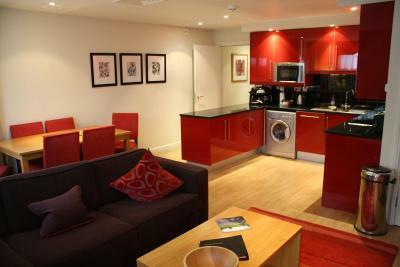 It also offers tea, coffee, and mineral water, and a flat-screen TV with Sky Sports and news channels. 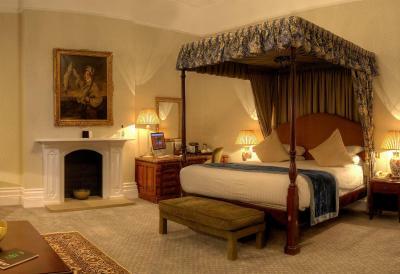 Located in the main house these larger double rooms feature a four-poster bed. 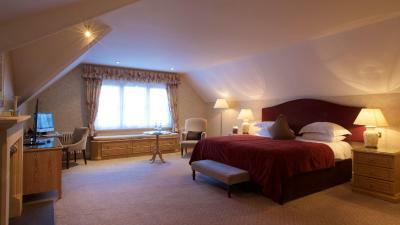 The rooms features views of the Welcombe Hills. 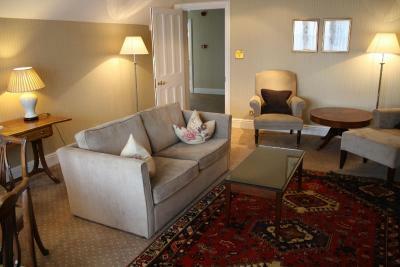 Located in the Trevelyan wing of the property the suites feature a separate seating area that can accommodate an extra guest. Each suite features an private bathroom with bathrobes. 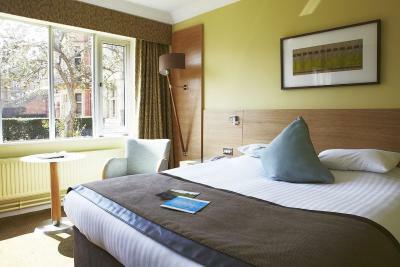 The room offers tea, coffee, and mineral water, and in the lounge area there is a flat-screen TV with Sky Sports and news channels. 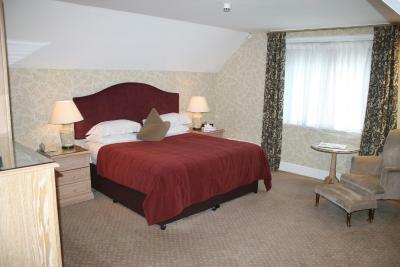 Each king or twin room features an private bathroom. 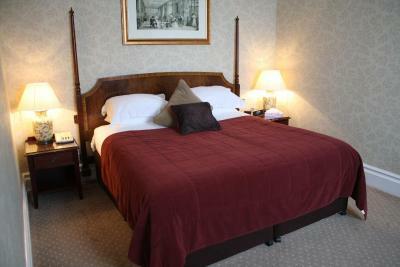 It also offers tea, coffee, and mineral water, and a flat-screen TV with Sky Sports and news channels. House Rules Hallmark Hotel The Welcombe takes special requests – add in the next step! Hallmark Hotel The Welcombe accepts these cards and reserves the right to temporarily hold an amount prior to arrival. Please note that for advance purchase and promotional rates, guests are required to show the credit card used to make the booking online, upon check-in. Failure to provide this could result in your reservation being canceled if you are not able to provide an alternative method of payment. A maximum of 1 pet is permitted. Guide dogs and service dogs are accepted free of charge. 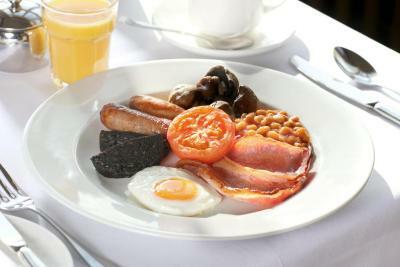 All children's meals will be charged and taken during your stay at the hotel. Children are only permitted to use the swimming pool within the following daily hours: From 10:00 until 12:00 and from 15:00 until 17:00. All other times, the pool operates as an adults only policy. 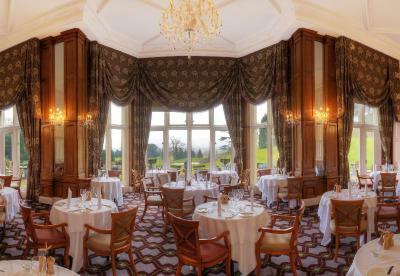 Please be aware dining options may be limited over the festive period (month of December), due to private events. 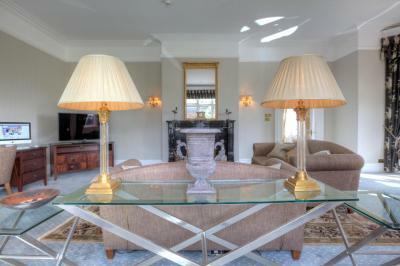 Guests should contact the hotel prior to arrival to make dining arrangements. We had a twin room in modern wing of building, decor tired (needs updating), no safe/security box, no mini bar, TV not working, air con not working, pillows need replacing (very lumpy), mattress very uncomfortable (didn’t sleep much). Telephone not plugged in/wasn’t working, view out of window awful (service road and rubbish area), no robes provided for spa (£5 charge to use one), no way to get to spa without going out of main building, no table available on our 1st night for dinner so had to eat light meal in lounge area, meal in restaurant on our 2nd night very over priced (£32 for filet steak, triple cooked chips soft/soggy, mushroom sauce very thin and made with tinned sliced mushrooms, 1 small flat mushroom with steak), breakfast Buffett over cooked or undercooked (was better to order poached eggs as these were cooked fresh). 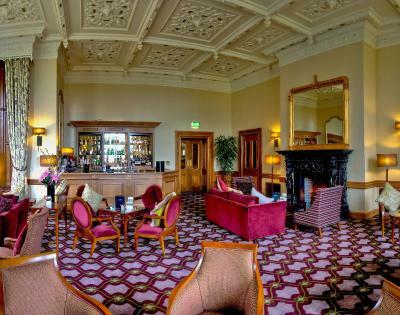 Overall having travelled extensively professionally and for leisure I would say the hotel needs an update/refresh, not worth the £189 for 2 nights B&B. I won’t be going back. Staff friendly, communal areas lovely ie bar/lounge area and family games provided which was a nice touch. View from restaurant if you have a window table really lovely. We booked for a double room with double bed but the bed was pushed together to make kingsize with ridge in the middle it was uncomfortable. On checking in we was not provided with code for getting of sure it was very frustrating. 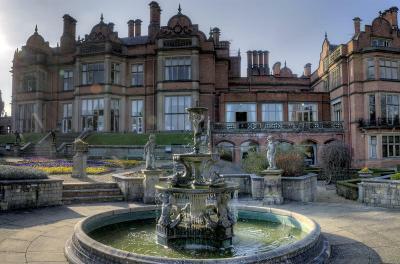 It was a lovely friendly hotel and in nice setting. The temperature in the room was a bit too hot for us we were offered a fan to compensate as the air con doesn’t get stitched on at this time of year. 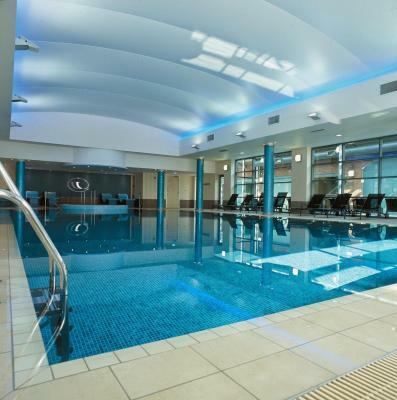 Gorgeous surroundings, very accessible and great facilities. The view at breakfast was incredible!